Among the many things I picked up backstage at NYFW—makeup tips, Snapchat pics, perhaps this gnarly cold—there’s one in particular that piqued my interest. Prabal Gurung had an entire skincare team (along with hair and makeup artists) to help the models achieve ready-to-wear skin before the show. I later found out that the product they used was the answer to my sad, dry skin’s prayers. 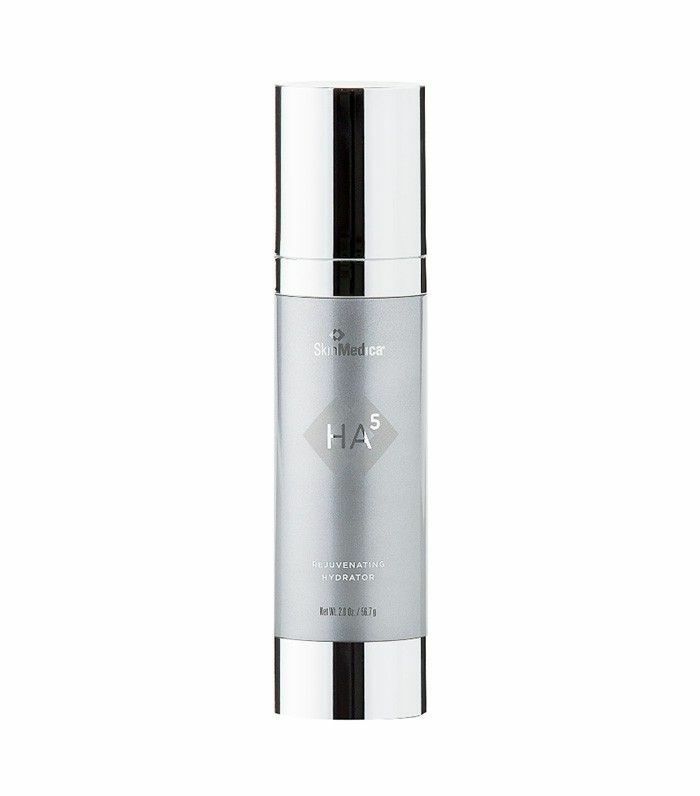 SkinMedica's HA5 Rejuvenating Hydrator ($178) instantly smoothes the skin, visibly blurs fine lines, and is so, so silky. It creates an even canvas for applying makeup, which is honestly half the battle. The hydrator features a proprietary blend of five forms of hyaluronic acid (the ingredient that best moisturizes your skin), but it’s different than other serums. The formula doesn’t just provide temporary surface moisture, it allows for eight hours of continuous hydration. I noticed a difference in the look and feel of my skin right away. After applying the lightweight, velvety elixir, my face felt softer than ever before, and my foundation went on so smoothly. Essentially my face felt like a cloud, and my skin looked like Kendall Jenner’s after a day at the spa, no joke. The best part? You can apply the hydrator under your eyes as well. It helps smooth under-eye bags (necessary) and makes your concealer look flawless. Apply it after your cleanser and serum, but before your moisturizer, for ridiculously enviable skin. I’m officially a believer. Need more moisture in your life? This winter skincare survival guide is your new best friend.